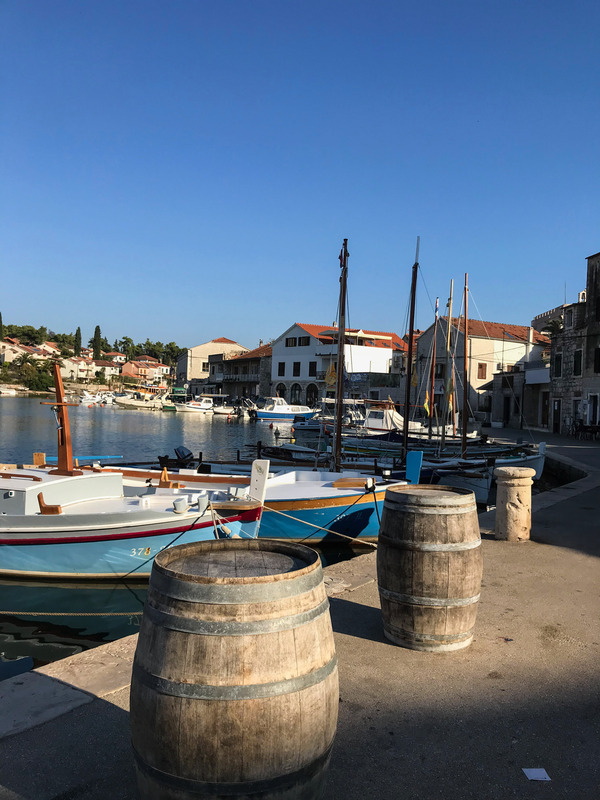 Visiting Vrboska, Hvar - Medsailors Croatia - Kat Got Your Tongue? 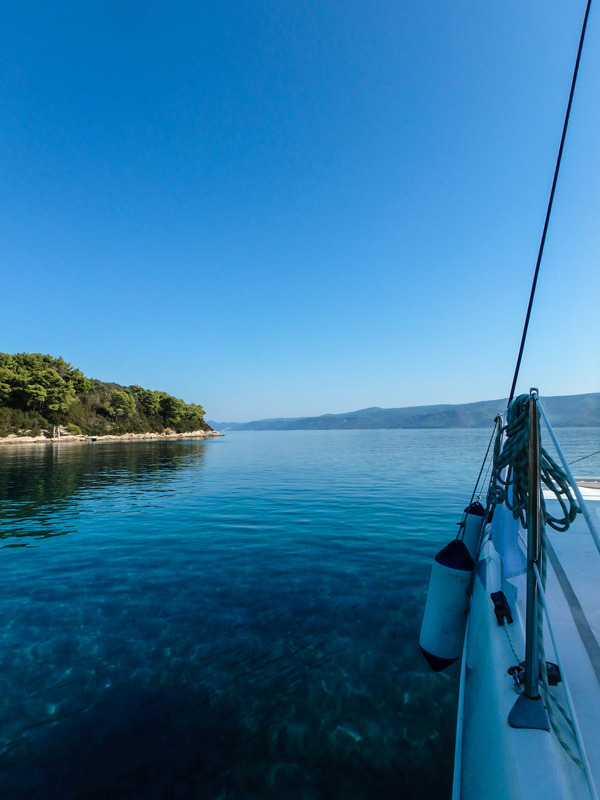 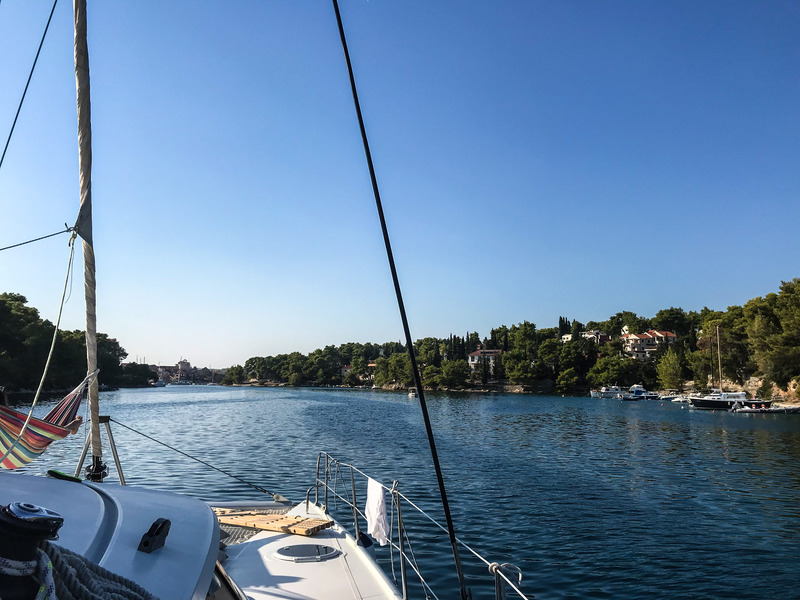 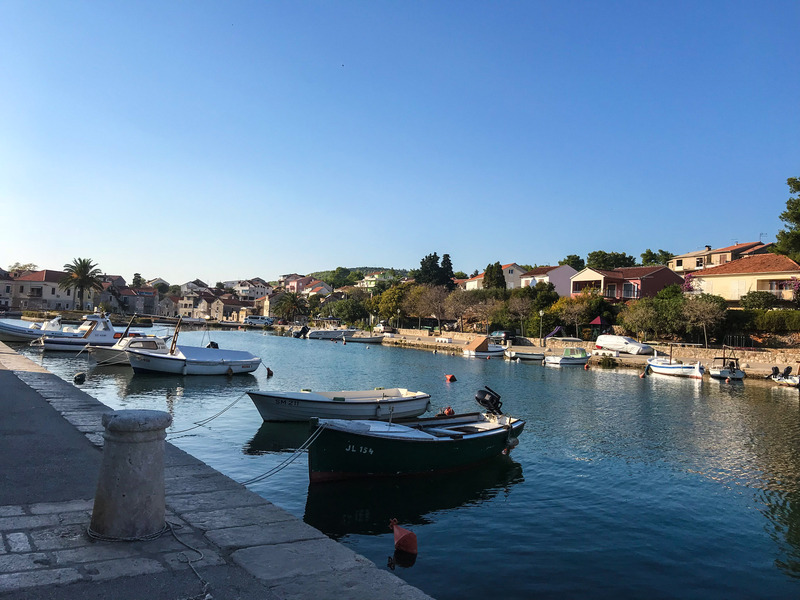 Another day, another beautiful morning in Croatia – and another day we spent sailing, swimming and enjoying our holiday! 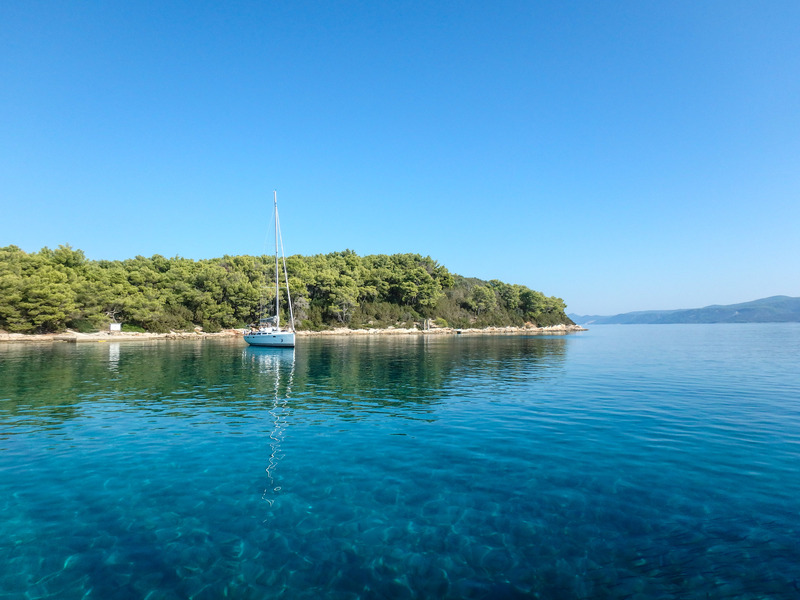 We set sail from a bay near Vis to Hvar, stopping at a bay on the way round. 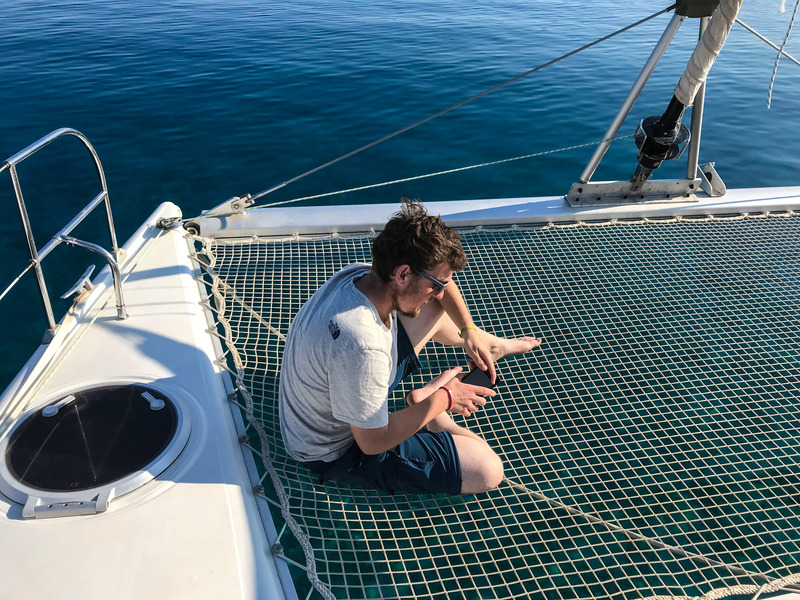 We spent a little more time sailing today, as we had further to go, and it was lovely to spend so much time out on the water. 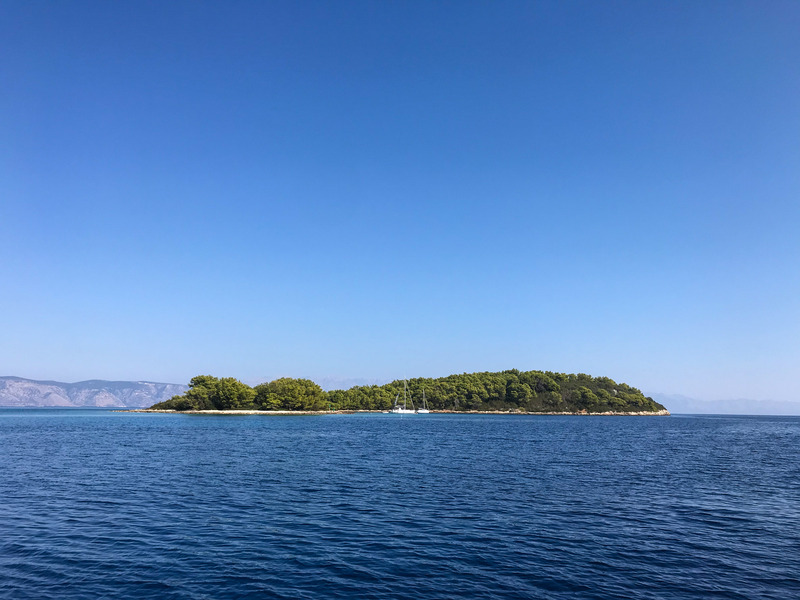 We stopped near Vrboska, Hvar for lunch and a dip in the clearest blue water – have you ever seen anywhere this beautiful? 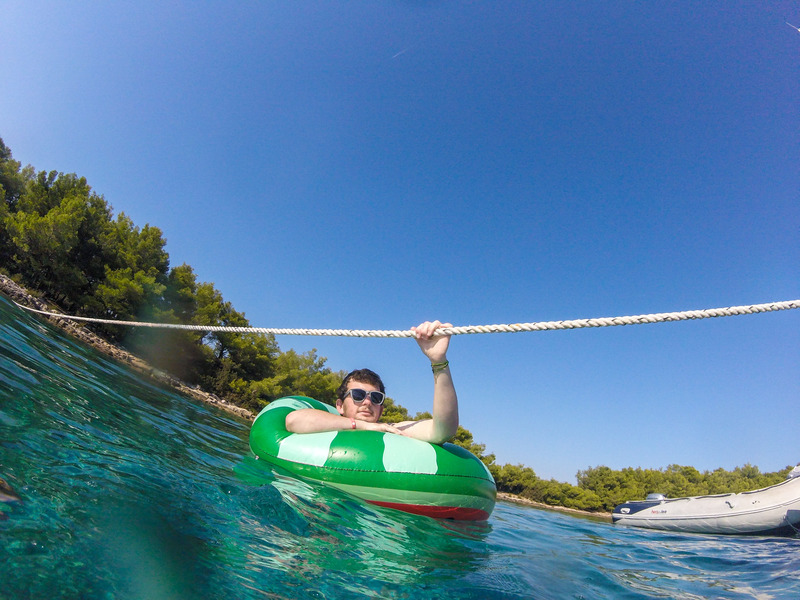 After a steaming bowl of carbonara each, we changed into our swimmers, grabbed our go pros and jumped in – just look at how irresistible the water was! 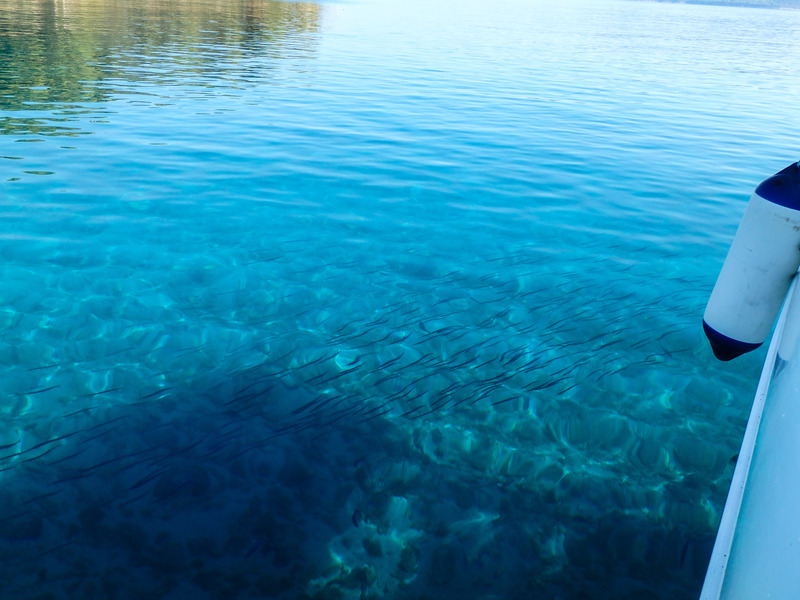 It was still a lot colder than it looks though. 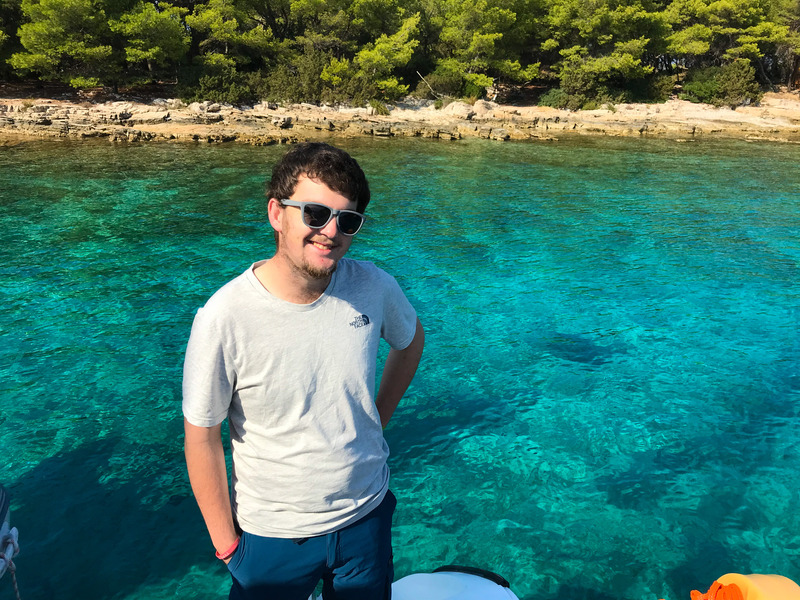 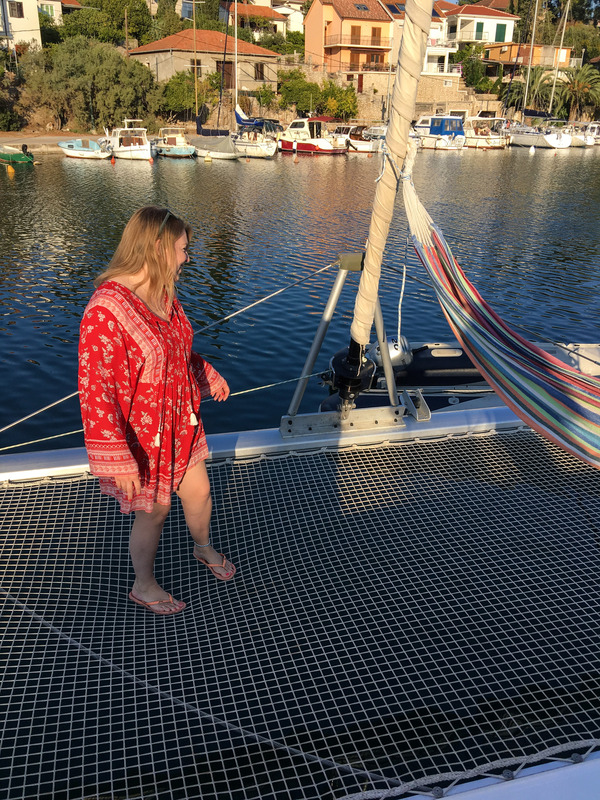 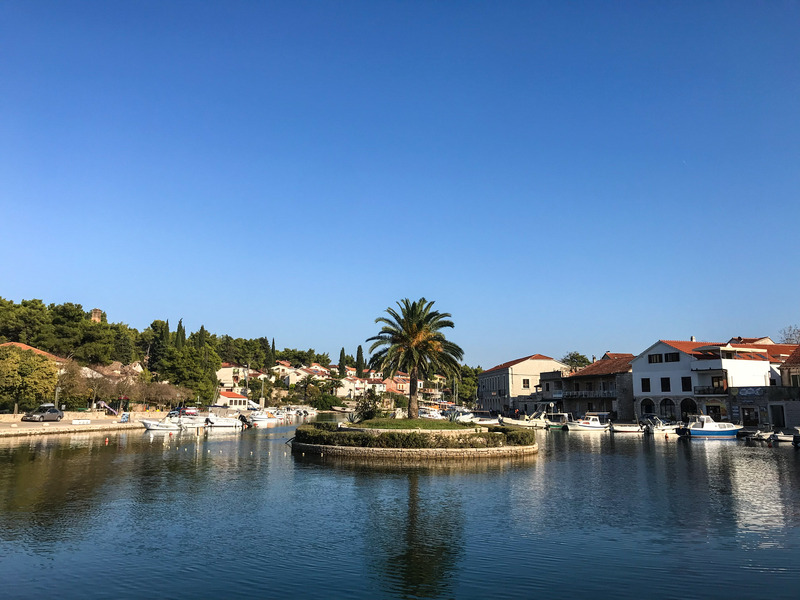 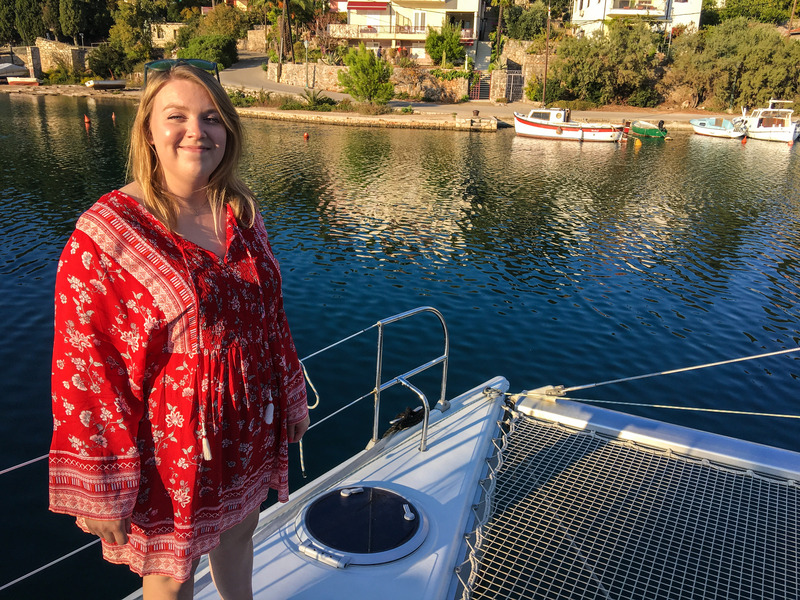 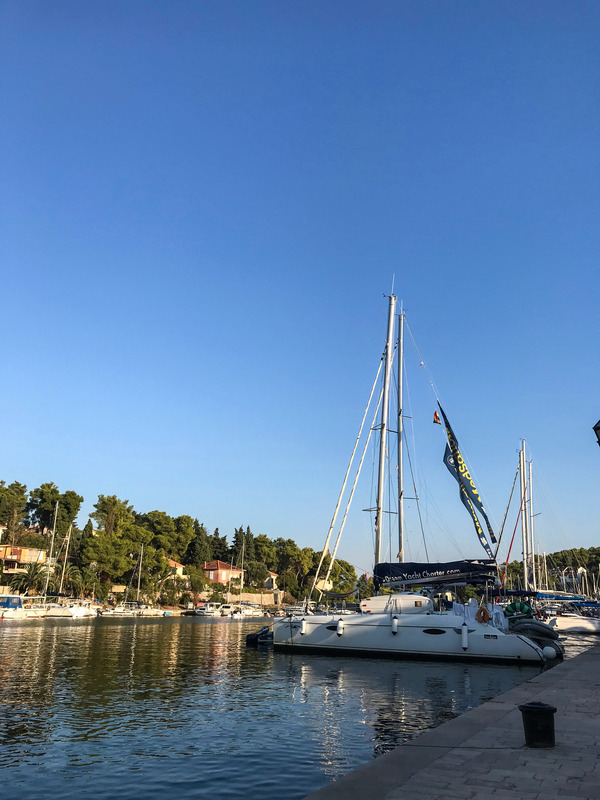 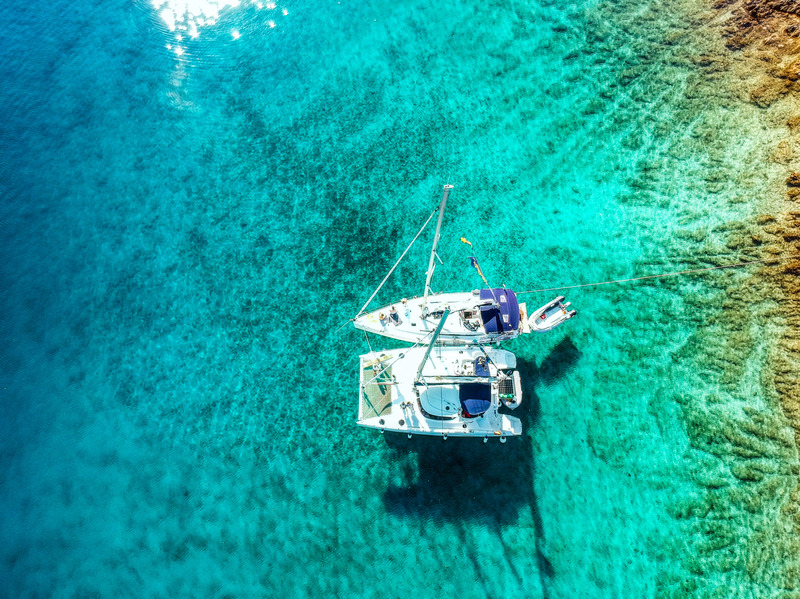 After spending a couple of hours swimming and splashing around in the water, we climbed back onboard our catamaran and sailed into Vrboska, a small town on the island of Hvar. 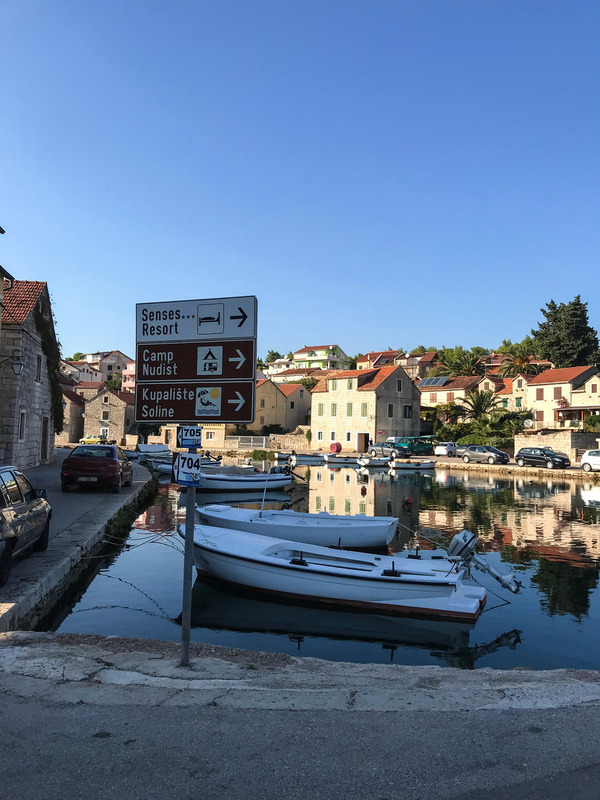 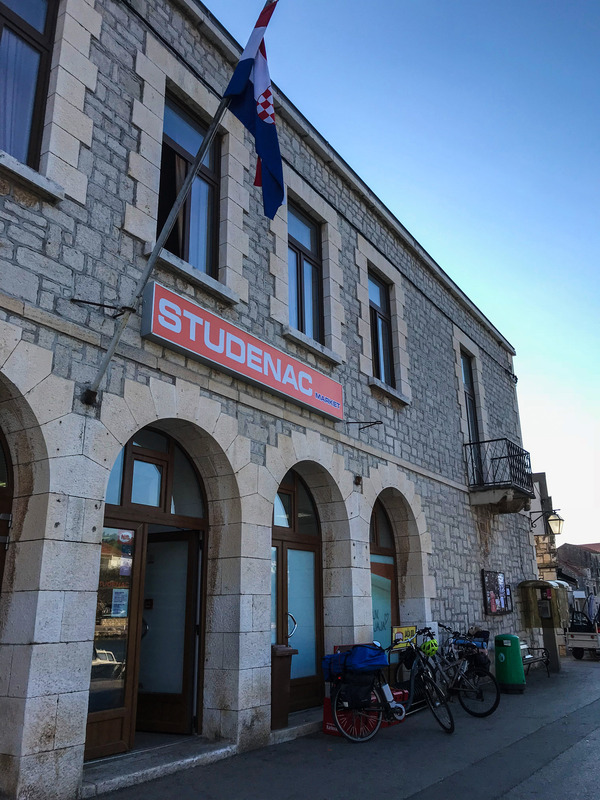 We had a little look around the town, stopped at the shop to stock up on snacks, and headed back to the boat to get ready for dinner.